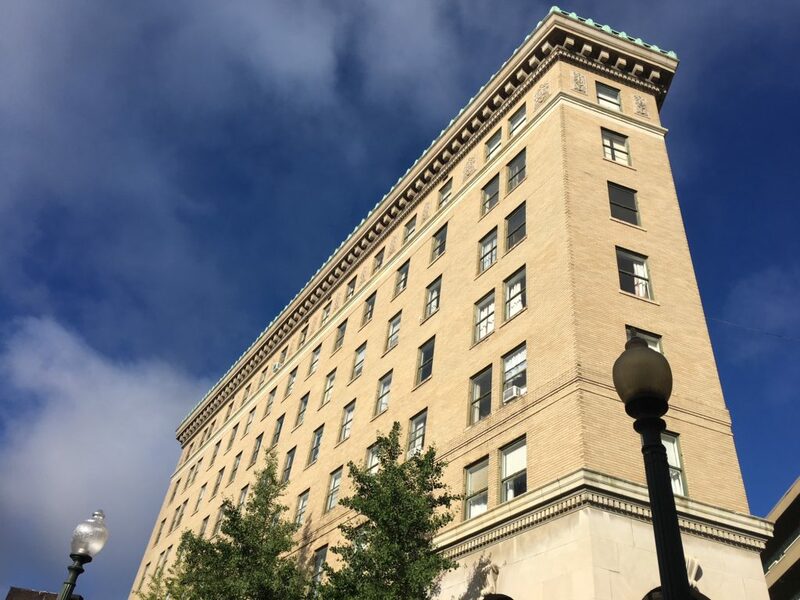 The proposal to turn the historic Flatiron Building in downtown Asheville into an 80-room hotel is scheduled to be reviewed by the Asheville Technical Review Committee on Jan. 7. The committee is made up of reps of various city departments, and they’ll give a cursory review of the proposal. The meeting is set for 2 p.m. on Jan. 7 at 161 S. Charlotte St. If developers choose to continue the project, the next step would be a review before the Asheville Downtown Commission. The Asheville Planning & Zoning Commission would come next, with final review by Asheville City Council. Members of Asheville City Council have been more and more vocal about their distaste for the flood of hotel projects they’ve seen come to then for final approval. Earlier this month, Asheville City Council voted to reject a 170-room hotel proposed for Fairview Road near Biltmore Village. The owner of the Flatiron Building, Russell Thomas of Midtown Development Associates, and the potential developer, Philip Woollcott, of Charleston-based JPW Development, explained their plans in an October interview. Remodeling the 91-year-old Flatiron on Battery Park Avenue under strict guidelines for historic restoration, and changing its use from an office building to a hotel, is the best way to preserve the landmark structure, the two said. But at a neighborhood meeting to get public input, most speakers who offered input said they opposed the plan. Several complained that a hotel would worsen traffic on Battery Park Avenue. Others said changing the use from an office building to a hotel would leave several small business owners without an affordable home for their offices. The city council needs to put a stop to all hotels downtown. In the near future Asheville will have peaked in toursim after having lost that special quality that once drew visitors here. I imagine a few of these hotels they allowed to be built in downtown will have to close. If existing historic structures like the flatiron are to be converted from office to living spaces then it makes more sense they be turned into condos. The building will continue to be maintained by its HOA, and citizens of Asheville don’t lose more of our city to outside investors and tourism.